What level of prestige can we get in this episode 3 ? Wow ! And I didn't even got to prestige level 1 yet. Is way too boring playing the same map over and over again. Good. 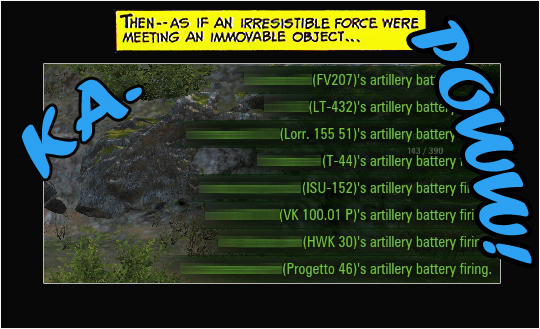 I do need credits since Obj 279e missions require some "skill" ammo if you want to complet them. Also, I'm curios how will the TS5 behave on the battle field. I can think at quite a few position where the tank can simply dominate the enemies. I meet some TS5 in the battles, and bounce with lower plate gold from IS3 sometimes. With tier X tanks dpm it is op in some situations. To get 1 prestige levels it takes from 16 to 30 hours acording of the player skill. It is hard (take a lot of time) to do 1 level/week (month). Edited by Weak_man, 12 April 2019 - 07:44 PM. when will the tier 9 be revealed? I understand an element of the unknown can draw players in but how am i meant to know if its something that i want especially considering the amount of time i have to put into it? Who's idea was it to have it the week before Easter anyway? Edited by Homer_J, 12 April 2019 - 08:31 PM.